Some April Snow: Boom! Boom! Boom! Boom! 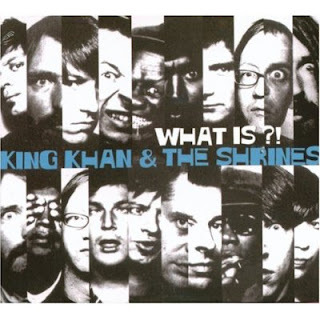 I have no idea how King Khan & The Shrines aren't at least seven times more popular than they are; no modern band is making better classic rock than them. Don't believe me? Check out 'I Wanna Be Girl', from their latest album, What Is?! (exclamation point and question mark included free of charge). It's so easy to see this song next to punk classics like 'Blitzkrieg Bop' and 'Lookin For A Kiss' that you almost forget it's only a few months old. Do yourself a favor and check this out.